What is social model of disability? You may have heard the term ‘social model’ before but what does it mean exactly in regards to disability? 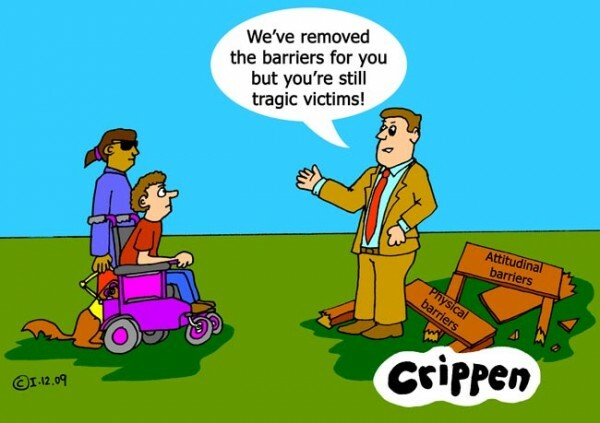 The social model of disability basically says that disability is caused by the way society is organised as opposed to the person’s impairment. Attitudes found in society based on prejudice, stereotype also disable people from having equal opportunities in society. The medical model of disability is basically the opposite. It states that people are disabled by their impairments or differences. It looks at what is wrong with the person and not what the person actually needs to support them. Under this model, it is believed that the person with the disability should be changed or fixed by medical procedures. Even if the disability causes no pain or any kind of illness. A teenager with a learning disability wants to live independently but is unsure how to pay the rent. Under the social model of disability, this person would be supported to live in their own home and pay the rent. The medical model would expect people to live in a communal home. The social model in contrast recognises barriers and negative attitudes and any exclusion from society, whether that is intentional or not.